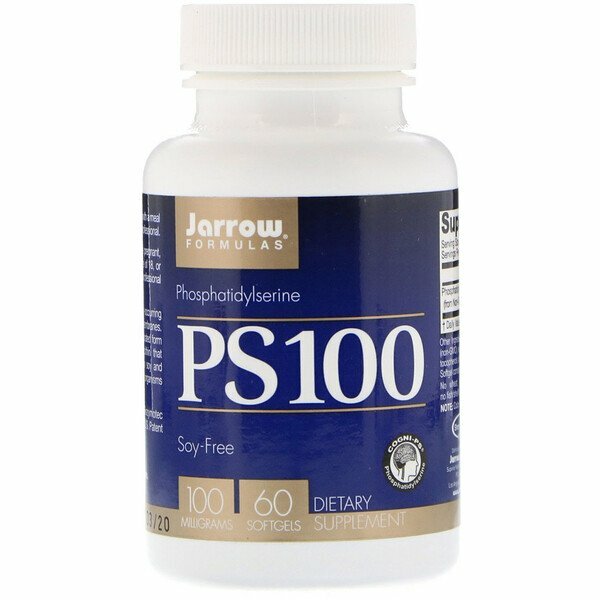 Phosphatidylserine (PS) is a naturally-occurring phospholipid and is a component of cell membranes. Jarrow Formulas Cogni-PS is a concentrated form of phosphatidylserine from sunflower lecithin that offers superior stability, does not contain soy and is not derived from genetically modified organisms (non-GMO). Take 1 softgel up to 3 times per day with a meal or as directed by your healthcare professional. 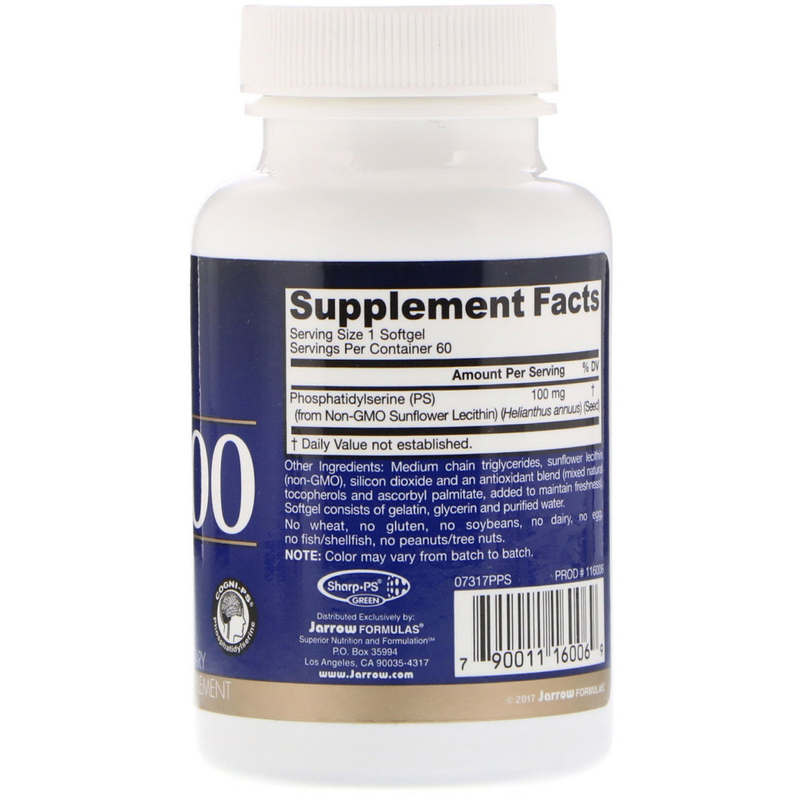 Medium chain triglycerides, sunflower lecithin (non-GMO), silicon dioxide and an antioxidant blend (mixed natural tocopherols and ascorbyl palmitate, added to maintain freshness). Softgel consists of gelatin, glycerin and purified water. Color may vary from batch to batch.